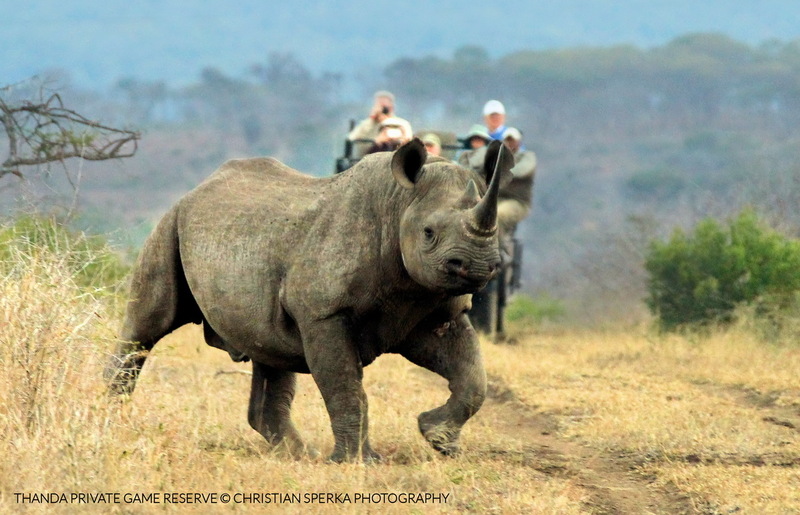 Black Rhinos can show quite a bit of attitude if they realize that they are being watched. Their eye-sight is very bad, so they rely on their hearing and their sense of smell to detect any danger. As this bull crossed the road he realized that something was close, but he could not see us properly. After a snort and short spurt towards us he turned and sped on into the bush on the right side of the road. A great sighting for the Thanda guests! Be like a rhino: if you’re being watched, show some attitude!